Call of Duty: Black Ops 4 just released in October but that hasn't stopped Call of Duty 2019 studio Infinity Ward from dropping hints on what to expect from the next Call of Duty game. The studio's communications manager has been posting a number of images with skulls and ghosts on Twitter. While these tweets go back as early as December, the Call of Duty community has just recently noticed them. This led to speculation that it could a sequel to 2013's Call of Duty: Ghosts. This would be an odd choice when you consider that Ghosts was critically panned due to its lacklustre plot and multiplayer issues. However, in a thread on popular gaming forum ResetEra, Kotaku's Jason Schreier stated that it's not Ghosts 2. Considering Schreier's track record, he's likely to be correct. So what could Infinity Ward be teasing? Assuming it's not a brand new sub-series, one possibility is a new Call of Duty: Modern Warfare game with the images possibly being a reference to Simon 'Ghost' Riley, an SAS operative from the Modern Warfare series. This would be in line with rumours from May 2018 suggesting Modern Warfare 4 is on the way. 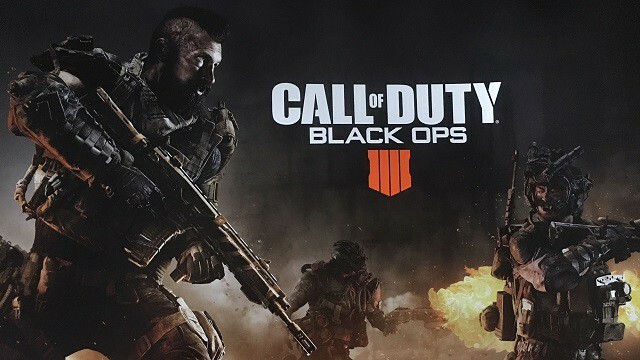 According to Gaming Intel, a single-player campaign makes a return along with multiplayer and Zombies mode. A battle royale mode is being considered too. "Our sources stated that Call of Duty would release as a 'fully fledged' Call of Duty title, with a campaign that is already being worked on, the customary Call of Duty Multiplayer experience and the return of its Zombies mode. This source also said that Battle Royale was being discussed for Modern Warfare 4, but at that point, it was merely discussions," claims .